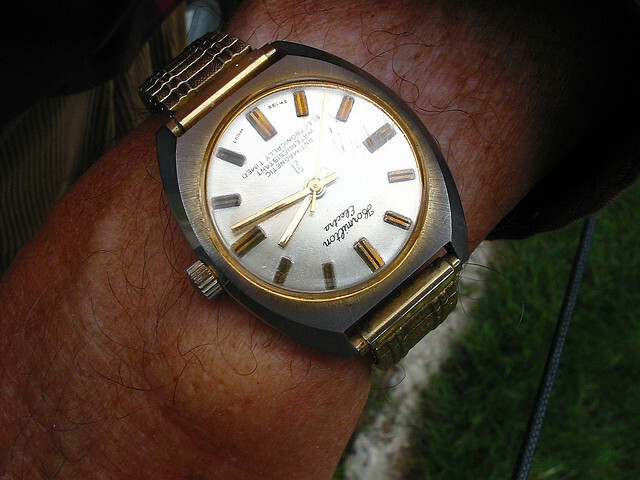 Wristwatch by Dan Iggers on Flickr. Some rights reserved. You may have noticed that I do not wear a watch. Contrary to popular opinion, this is not so that I can preach for an interminable length of time, it is because I developed an allergy to nickel a few years ago. I could not wear a watch without getting a rash, and I found the plastic digital watches awful as an alternative. Somebody told me there was a way to prevent the nickel back of a watch from irritating me in this way. I should coat it in clear nail varnish. This would save my skin from contact with the offending metal. Our readings this week in the Second Sunday of Advent are about telling the time. Not ordinary calendar and clock time, for which we use conventional timepieces, but God’s time. In this second week of Advent, we traditionally celebrate the rôle of the prophets, and their job is to proclaim God’s time. The particular prophet in focus here is John the Baptist and his use of Isaiah, and if you know your Four Sundays of Advent, you’ll be aware that John is usually under the spotlight in Week Three, not Week Two. So we’ll leave the more specific features of his ministry for next week – you can think then, if you like, about his dress code and his diet – but this week simply see him as a model of prophecy. Exilado / Exiled by Edlago Quinco on Flickr. Some rights reserved. There is a specific chiming of the clock in God’s time that John the Baptist comes to announce, according to Mark’s Gospel. According to John, the time in God’s schedule has come for the end of the Exile. What do I mean by ‘the end of the Exile’? You will remember how God’s people were taken from the Promised Land into Exile as a result of their persistent defiance of their God. Ten of the tribes were taken captive by Assyria in 722 BC, and never heard of again. The remaining two were defeated by Babylon in a series of waves, culminating in 586 BC, when Jerusalem was captured, the Temple destroyed, and most of the survivors were taken to the land of their conquerors. This was the Exile. But some decades later, when Babylon itself had been conquered, the Jews began returning to Jerusalem and Judah. This return is prophesied in Isaiah 40, which we heard. Nehemiah leads the rebuilding of Jerusalem, and prophets such as Haggai urge a commitment to rebuilding the Temple. Yet it wasn’t a ‘happy ever after’ ending. In the centuries since, God’s people had been oppressed by the Greeks, and now they were under occupation in their own territory by Rome. Many of them said it was like still being in exile. They might be within their national borders, but they had no power to rule themselves and the land. You have heard how rebel leaders arose from time to time, bidding to overthrow the Romans, and how they generally met grisly ends. But now comes a different kind of prophet – not a soldier, but a preacher. And Mark says that John arrives on the scene in fulfilment of Isaiah 40. Just as that chapter in Isaiah had begun the prophecies of hope that heralded the return from exile of God’s people in the sixth century BC, so now this prophet proclaims the return from another exile. Of course, many people in that day would have hoped that this return from exile would deliver what the failed freedom fighters (or terrorists, as Rome probably regarded them) had aspired to: deliverance from military occupation. But as we know, John doesn’t come with that message, and nor does the Messiah he is introducing, namely Jesus. This return from exile is of a different kind. It is a return from exile where God gives his people not so much what they want as what they need. It is not freedom from occupation by Rome, but freedom from occupation by sin. It moves the question of blame and responsibility away from outside enemies, and makes God’s people look at themselves. So what is solved by God saying through the prophets that the time for the end of the exile has come? I think we can take an image from the experience of the Jewish people in Babylon. Exile was the most terrible trauma for them. It was the end of their faith as they knew it, just as the destruction of the Second Jerusalem Temple in AD 70 that Jesus prophesied would be devastating to the Jews of his generation and the next. In exile, they struggled to have faith. They felt far from God, because they could no longer go to the Temple where God had said his Name would reside, and even if they could get there, the Temple wasn’t standing. No wonder in the red-raw language of Psalm 137, they sang of weeping by the rivers of Babylon and asking in the echo of their captors’ taunts, ‘How can we sing the Lord’s song in a strange land?’ To be in exile was to be far from God, perhaps even cut off from God. Therefore to come home from exile was to come back to God, and draw near to him. We might criticise their locating of God’s presence in a particular special place, and indeed the Old Testament itself does, even and especially when King Solomon dedicates the original Temple. They know that God cannot be confined to places built by human hands. His Temple is the whole created order. We too fall into a similar trap at times. We delude ourselves that God is more to be found in a religious building than in his world. As a result, we miss a lot of what God is doing in our generation. But we can hear the ‘end of exile’ invitation to come back to God and draw close to him again. We can hear the ‘end of exile’ message that we need not stay away. However much we may know that our sins put us outside of fellowship with God, when the prophets declare the end of exile with the coming of Jesus the Messiah, they say to us, you can draw near to God because he has drawn near to you! This Messiah is not simply a human champion (although he is, if in a different way from common understanding): he is God in the flesh. He is Emmanuel, God with us. When we feared we would have to stay at a distance, or we didn’t know our way back to him, God made the move towards us. Now if God has come on a journey from heaven to earth in his Son to draw close to us, how do we walk towards him? The passage tells us, and it has a typical prophetic theme: repentance. Like the Old Testament prophets, there is powerful enacted symbolism – in this case baptism. John proclaims a baptism of repentance for the forgiveness of sins, and when people are baptised, they confess their sins (verses 4-5). What’s more, this too is backed up by the reference to the end of exile in Isaiah 40. There, the prophet imagines the need for a royal highway on which God can lead his people back to their homeland. 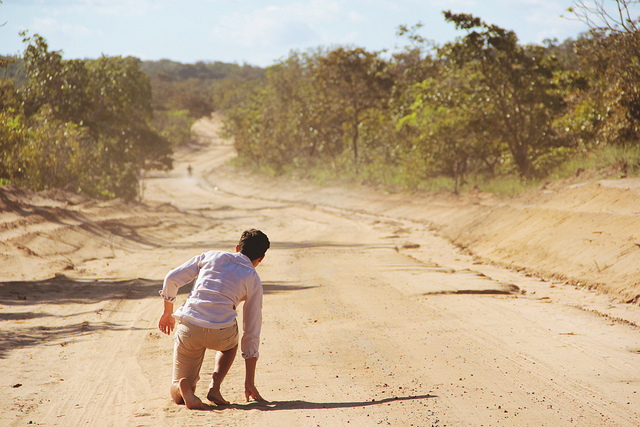 Hence ‘Prepare the way of the Lord, make his paths straight’ (Mark 1:3b). Smooth everything out, get rid of the potholes, put down new tarmac. It’s like the way a locality is decorated or improved before the Queen visits. God’s highway must be smooth and straight. However, Mark applies that prophecy in a different way. If it’s end of the exile time now, then it is the people who need to straighten out their own paths. The way to walk towards God is by straightening out our lives in repentance, the repentance for which John gave, as I said, the powerful prophetic symbol of baptism. Watling Street by David Jones on Flickr. Some rights reserved. And this would have made sense, not only at the time of John’s coming, but also to Mark’s first readers, who were almost certainly Christians in Rome. I’m sure you remember the Roman reputation for building long, straight roads. 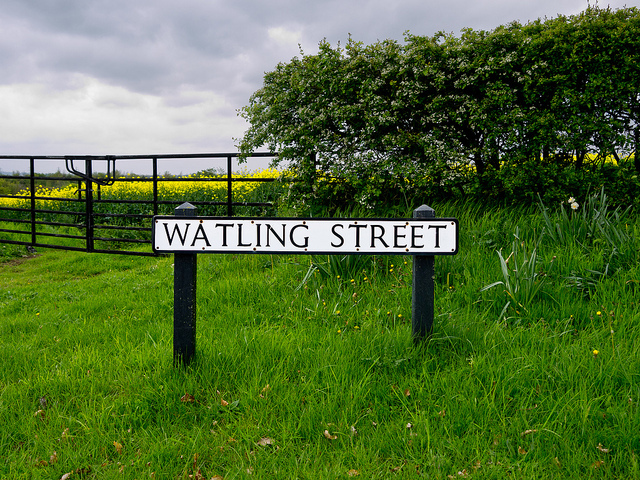 We even lived in a turning off the famous Watling Street when I served in my circuit before last. The Romans made straight roads, and they made roads straight. Repentance is not simply saying sorry. It is being sorry enough to desire change, to straighten out our lives. The word means ‘change of mind’, and repentance involves a whole change of mind about right and wrong, about who comes first in my life, and what gets priority. We associate repentance with coming to faith in Christ at the beginning of the Christian life. Rightly, we recognise the need for a complete change of mind, a U-turn, if you like, in order to become a disciple of Jesus, because his ways are so different from those of the world. However, it would be wrong to limit the call to repentance to the commencement of Christian faith. God regularly calls us to repentance as a means of drawing us closer to him. 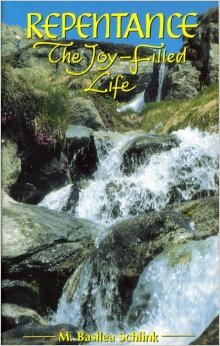 Perhaps that is why one saint, Mother Basilea Schlink, wrote a book entitled ‘Repentance: The Joy-Filled Life’. It’s not what we expect, is it, for repentance and joy to be linked? But they are, because repentance brings us nearer to God and therefore to all the joy that knowing him bestows upon our lives. It is why we need to be converted over and over again. Like certain motorways and ‘A’ roads I could name, our lives have semi-permanent roadworks on them. God is calling us to that straightening out of our highways. And perhaps it is those who least feel the regular call to repentance about whom we should be most concerned. For the disciples who make it their business to draw near to God find as they edge closer that the nearer they get to him, the more they realise what sinners they are. If they are not careful, they feel hopeless, because they think, “Will this ever end?” but the more proximate we get to the holy love of God, the more we shall realise how far short we fall, and how we yet again need to turn from our selfish ways if we are to prepare the way of the Lord. What we all need to hear is the prophetic call that the time for the end of exile and coming close to God is not only the time for an ending but the time for a beginning: the beginning of the Holy Spirit’s availability to all flesh. The coming Messiah ‘will baptise you with the Holy Spirit’ (verse 8) says the prophet John. And in that promised gift of God’s nearness comes the experience of divine holiness, which is both awesome and terrifying, but also the promised power to turn our lives into straight streets.